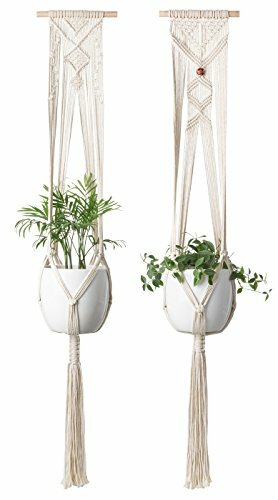 This plant hanger will fit a variety of flower pot shapes and sizes. Ideal for planters up to 7" in diameter. In the picture 1, the flower pot shown is 7" in diameter, 6" in height.